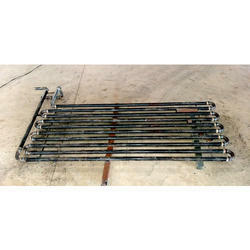 Our company holds vast experience in this domain and is involved in providing Fabrication Work. Provide Supply and Service in Fabrication of all kind of work like erection, commissioning of shed, pipe line and MS, SS tanks with proper layout including 2D or 3D drawing. PGS Technologies Pvt. Ltd. is engaged in providing Crude Oil Pipeline Fabrication and Installation Service in Aurangabad. Our offered Installation service is mainly acknowledged for superior work completion tendency & installed system efficiencies. We are provided excellent Pipeline Fabrication and Installation Service to our customers at feasible charges. The Ducting manufactured by us are extremely lightweight. In addition to this, they are very easy to use and customized according to varying needs. We use only high grade raw material. This, in combination to latest manufacturing techniques and technology, the end product is invariably sturdy and long lasting. The high quality also ensures high resistance to corrosive fumes, gases and fluids. We have undertaken Structural fabrication work for various segments and has successfully met the requirement of our clients. Our contemporary approach and ability to understand the needs of the industry has made us a prominent name in the market. 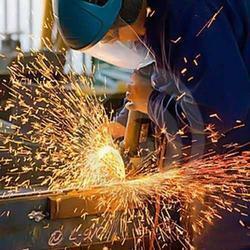 our organization is engaged in offering various types of fabrication works . With the help of our skilled professionals, we are able to undertake the entire fabrication work with utmost perfection. Any kind of profile in fabrication. For hydraulic and pressure vessels, boilers, steam manufacturing parts, etc. We are with the facilities of Surface Griender, Lathe machine (Heavy Duty and Light duty), DRO Milling Machine and having all the facilities required for Tool room as well as Fabrication work. We have the potential to complete the every work in time limit and on minimum rejection. 1. Has a longer life cycle when compared to alternative metals, which results in cost saving over time.